First Friday of the month at 8.00pm. Inclusive price for a plate of grub and a pint is £12 plus tip. Extra drinks need to be paid for separately. Please bring yourself and someone new along. Click here to e-mail Mike Maclachlan for more details. Cost £6 per head, payable on the night. starting at 7.30pm and finishing by 10.00pm. Next dates in 2019: 22 May, 2 July, 12 September, 23 October and 3 December. To reserve a place on one of the above dates, for venue details or to register your interest in hosting a Supper Evening please contact Sarah Hicks: here. This is an informal lunch (soup, rolls & fruit) for widows. We meet together every month on the second Wednesday from 12.30pm. For venue details or for more information please contact Pauline Berryman. A special service for under fives and their carers followed by picnic lunch and drinks. A time to celebrate: the amazing world we live in, a story from the Bible, songs to sing and instruments to shake, rattle and roll. 1st Wednesday of the month starting at 12.30pm at St George's Church, Preshute. A mum/carer and toddler group based at St Mary's Church Hall, Silverless Street, Marlborough on Monday mornings during term-time, 9.30-11.30am. The following is a list of Home Groups. The groups vary in their style and in what they do but have in common a desire to be places where participants can learn from and encourage each other in their faith in a mutually supportive environment. As well as study there will be time for sharing of news and prayer. Many of them are ecumenical with members from other than the Anglican churches. If you are interested in joining a particular group please contact the named person for each group. If you would like to start a Home Group or for further information please contact David Maurice. 1. 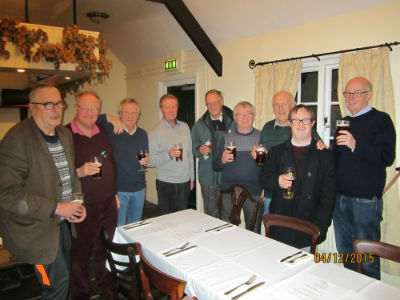 Meets fortnightly (at 7.30 for 8pm) at the home of Michael Dain. 2. 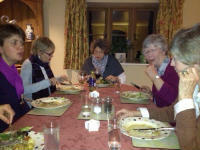 Meets weekly at 8.00pm at the home of Peter and Gill Morgan. 3. Meets fortnightly at 7.45pm at different members' home. 4. Meets weekly at 7.45pm at the home of Derek and Jill Moss. 5. Meets weekly at 7.45pm for 8.00pm start at the home of Caroline and Mark Philps. 6. Afternoon group meets fortnightly 2.30-4.30pm.